Q. How Do I Get or Find Carpet Specifications? Q. Local Carpet Dealers Don't Show Carpet Specifications? 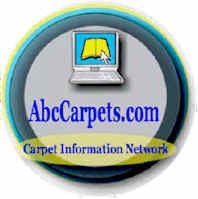 Have rentals, apartments or have need to frequently replace carpet and flooring? May I suggest a smart way for you to go that can save you a lot of money with carpet and vinyl flooring replacements and repairs? Sherwin Williams is a well known paint company, but few know that they also provide low-cost carpet and vinyl replacements for apartments and rental properties through with their Floor Covering Division. I highly recommend them to landlords and property managers, apartment owners, property management companies and anyone who has rental properties in need of flooring replacements and repairs. It's hard to find a reputable carpet dealer these days! That's why I have built a special list of hand-picked carpet retailers who are locally owned, give free estimates, offer fair prices, have knowledgeable staff, provide honest measuring and hire qualified installers.